One thing that I have loved most about owning the-violin.com is the opportunity it gives me to hear from so many amazing musicians, students, parents, and teachers. I have gotten emails that make me laugh, cry, and try harder to be a better musical mom and musician. This post and giveaway is dedicated to the women out there that have been faithful readers to this website, but, more importantly, the many women who are: dedicated mothers to their little musicians, students of all ages struggling and succeeding in learning a new instrument, music teachers making a difference, and lifelong musicians working hard to elevate the musical community where they live! I promise there is a giveaway detailed at the bottom of the page, but indulge me for a quick read as I get all mushy. It is mother's day after all. One mother wrote to me how she gets practicing done at her house on hard days by playing copycat and name that song games with both of her little violinists. They each take turns being the one to copy or the one playing the mystery song. Another mother told me recently that when she was pregnant with her 4th child she decided that she would practice twice a day with her little kiddos so that when the baby comes they could hopefully be good enough to practice independently. She chuckled and said that unfortunately it didn't work out that way, but on the positive side they got a lot of practicing before the baby was born. I just joined a community orchestra for the first time in 11 years. It was so fun to be back in a group setting. There I met a woman who started playing the violin as an adult. She didn't brag or dive into details but I have gathered that she learned the violin while raising her kids and going back to nursing school. Not only is she a budding violinist, and a real asset to our small community orchestra, but an incredible example to her children of how to do hard things. How about my son's piano teacher who promises all the mom's who dutifully drop off their students week after week, "Help your kids stick with it and when they are grown and out of the house, keep coming every week for yourself and we'll start teaching you for free!". Of course, this post wouldn't be complete without mentioning the musical mommas in my life: my mother, my aunt and my grandma. I will never forget how my mom used to take my cold clammy hands in hers right before I was to perform and rub them in between her warm hands. It would help my fingers to warm up and my nerves to calm down. My aunt lived down the street and was my first and longest violin teacher. I remember as a really little child, drawing stick figures of her playing her violin. She is a beautiful violinist, and was the type of teacher that made you feel like you could learn to play anything no matter how difficult. I can't remember a time since I began violin that my grandma didn't think I was wonderful at it. She must have been hard of hearing because I started out the same as anybody else, screechy and horrendous. Even then she would invite me to play for her friends and book club-get-together's. I remember her group of 'old lady' friends would just ooh and aah over my primitive efforts. I don't think even Joshua Bell felt as accomplished or appreciated as I did after those performances. Eight months ago I had the hard assignment of performing one last time for Grandma, at her funeral. That day, just like all the other times, I felt a smile and a nod of approval from her. I feel connected to my grandma when I play now. It is because of all of these wonderful women plus so many more that I felt a strong desire to give back and to say thank you! So here's the giveaway deal. I wanted to do something fun and nice for all the mother's out there. You don't have to be a mother to enter. Maybe you want to enter on behalf of your teacher, your own mother, or a dedicated violinist you know. Your entry needs to reflect the valiant efforts of a woman in your life, whether it's you or someone you know. It can be focused towards the challenges of being a musical momma, a musician or a teacher. Or maybe you want to show off success, triumph, or everyday raw musical reality. All you need to do is enter in the comment section below with a picture and an awesome title, hashtag, or small explanation. For example, here's what I would enter. Yes, I'm practicing....practicing for motherhood. Enter a picture in the comment section that is appropriate to this website. Only use children as subjects if they are your own, or if you have received permission. No bad language, violence, or scantily clad children or adults allowed! Keep it clean peeps. I run an honest blog here, and will delete entries that are not appropriate. Be creative. It must relate to music, practicing, performing, and/or music teaching to qualify. Write a title, hashtag, or small commentary. Contest ends at 2 pm on Friday. I will announce the winner in a post on Saturday. Check back then to see. 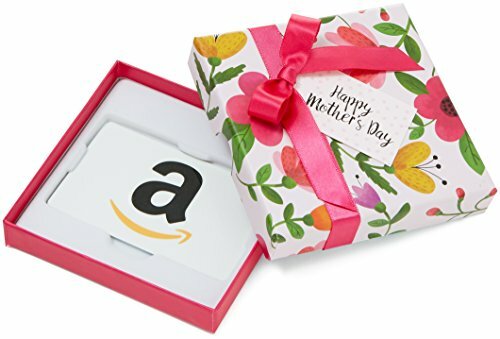 Prize is a $100.00 Gift Card to Amazon!! Get your picture in everyone, and let's celebrate mother's day together!